Stop me if you’ve heard this one before – Dan Aykroyd does an interview telling everyone who will listen that Ghostbusters 3 is close to becoming a reality. No, we’re not just recycling stories from five (or 10) years ago; Aykroyd appeared on Larry King Now recently and spilled the beans on where the project is currently, while also revealing some tantalizing plot details. “... based on new research that's being done in particle physics by the young men and women at Columbia University. Basically, there's research being done that I can say that the world or the dimension that we live in, our four planes of existence, length, height, width and time, become threatened by some of the research that's being done. 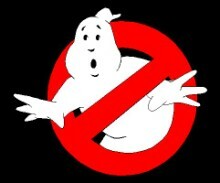 Ghostbusters -- new Ghostbusters -- have to come and solve the problem." Yes, you read that right: “new” ghostbusters still figure prominently into the plot, meaning this is going to be a passing-the-torch film, regardless of whether or not anyone outside of the studio and Aykroyd actually wants that. Of course, it’s not a Ghostbusters 3 interview without Aykroyd talking about Bill Murray’s involvement. Unfortunately for those of us who want him in the movie, not much has changed on that front. “There will be a hole for him. If Billy wants to walk in the door and be in the movie, we will find a place." Murray remains unwilling to join the project. The reasons why could make for a compelling book if he ever disclosed all of them, but the general gist is that he’s yet to see a script that he’s happy with and doesn’t seem to have much interest in revisiting his past glories in the first place. The lack of Murray's involvement has made Ghostbusters 3 a bit of a tough sell. While fans all love Aykroyd, Harold Ramis and Ernie Hudson, it’s hard to deny that Murray’s sarcastic Dr. Peter Venkman is the straw that stirs the drink. Removing Venkman from the mix certainly makes Ghostbusters 3 a whole lot less interesting. Aykroyd closed his interview by revealing some casting news as well – letting host Larry King know he’d be back for another big scene in the new film. “Of course, we're going to be doing you in your new format as you comment on what's happening in Manhattan up there at Morningside Heights. It's going to be quite a spectacular scene once the stuff starts to break." Well, there you go – who needs Bill Murray? We’ve got confirmation that Larry King is coming back for Ghostbusters 3! Huzzah! Try as I might, it’s hard to feel excited about this project. I'm hoping for the best (and that Murray will change his mind, because without him, I can’t see this film being very good), but most of this news isn’t exactly inspiring confidence that Ghostbusters 3 will be on par with the beloved first film. Are you guys on board with a Murray-less sequel? Do you believe Ghostbusters 3 will really happen? Who would you like to see them pass the torch to? Weigh in below.